We proudly present the PUMA Jetter, one of the German cat company’s vintage running models that has grown in popularity enough to have its own family by now. 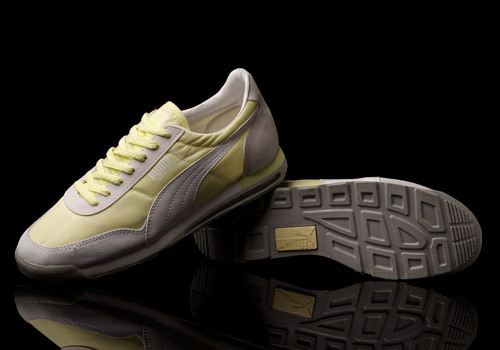 While it’s nothing like the Suede-States-Clyde community that accumulated over the years, the PUMA Jetter is definitely a hefty choice when it comes to something lightweight. 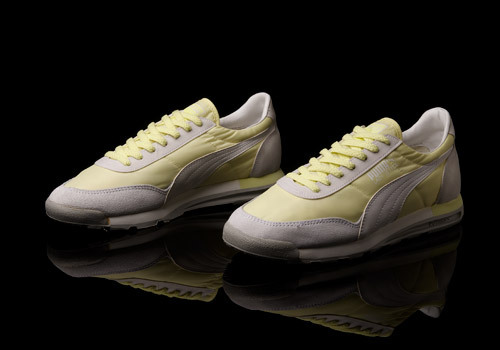 With an estimated original release date sometime in the 1970s or ’80s, the OG PUMA Jetter is a very long-lived silhouette and we’ve been lucky enough to review yet another, almost identical pair from the past, but one produced for the female side of the footwear industry. 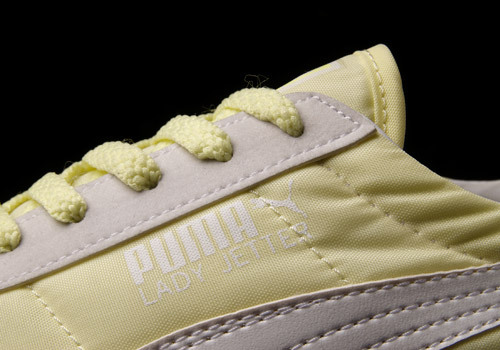 Among all the various versions of this shoe, the 1987 Lady Jetter pictured here is probably the most delicately designed. In general, the Jetter isn’t a heavy duty, all terrain runner, and the Lady Jetter in particular (especially the vintage pair) is not something you want to be smashing and thrashing around in, at least if you want to see them live for a while. As much as we hate to admit it, these are by far only casual runners at best, and not a true sporting shoe, albeit they do have some pretty solid sole units attached to them. 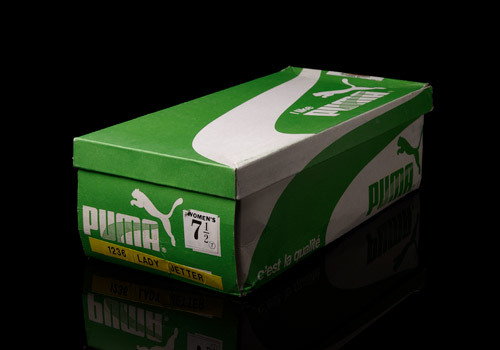 Though this reality is normal in the world of vintage sportswear, and even sneaker fashion in general. What isn’t normal within the scene is the topic of sizing, which frequently becomes a point of frustration for many. For example, these are a women’s “7.5″ (unlabeled as to whether that is a UK sizing or not) but they fit us fine (and we’re all sample sizes here at eatmoreshoes). Actually they fit us perfectly. 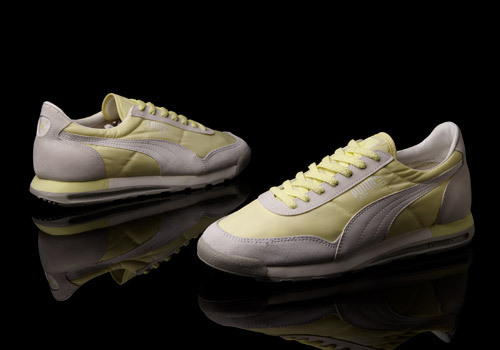 So, what the foot, PUMA? Measurements aside, size is quite like style and function, an attribute of the articles that is a completely different story (and different preference) to each individual. And that’s what makes these stand out; their style and function. 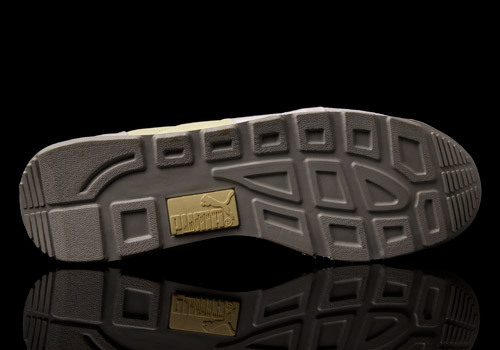 They’re built of super lightweight, super thin, comfy uppers put upon some crazy sturdy soles. A strange mixture, no doubt. Walking around in them, we must admit, was weird at first as they’re basically like a mini high heel. Totally not used to this in a trainer. Running in them was great though, and even unknotted and loosely laced they stay on foot and felt fantastic. 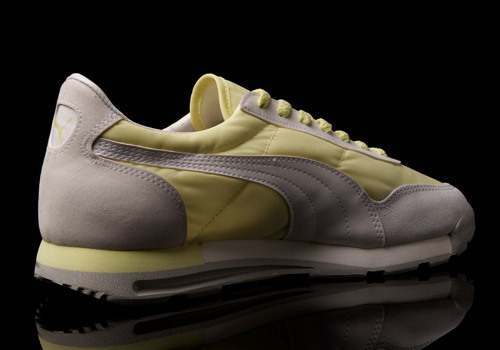 Design wise we can both love and hate the colorway. 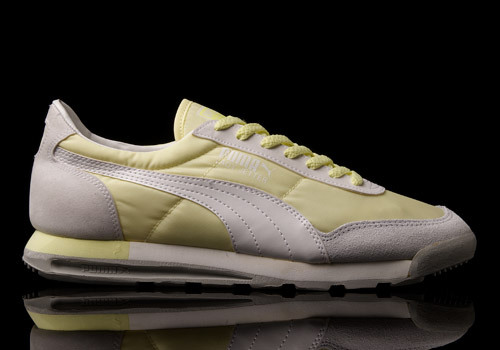 Totally not an everyday choice but so nice despite the almost overbearing brightness of their pastel hue. 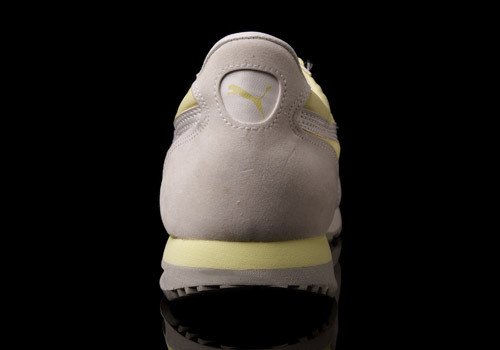 And while the main body nylon material isn’t the greatest quality the suede toe reinforcement is grand. However the textile heel isn’t much and it’s hard to tell if the form stripe is even leather. 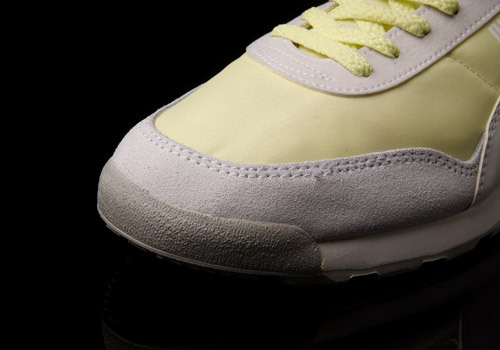 Eyelets are textile too, for a last minute touch that could be looked at both ways. 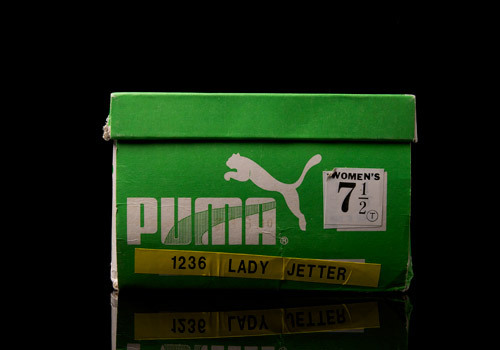 For us, the vintage PUMA Lady Jetter is an amazing find, and we’re eager to see who agrees or disagrees, and more importantly why.